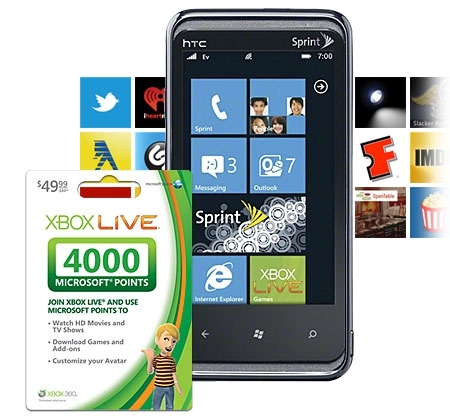 Best Buy is currently offering a 4000-point Xbox Live card free when you purchase a Windows phone. This is a great deal for any Windows Phone fans who also happen to be Xbox owners. The offer is in-store only, so visit your local Best Buy location to take advantage. You can get this same offer from the Microsoft Store as well. I picked up the Verizon Trophy for a penny and got the 4000 awesome deal!! I was planning on waiting for a 4G but this was to good to pass up.